In the photo, Machado is wearing a custom color of a discontinued glove. He’s also been seen wearing white/black versions, too. At the time of this writing, Jordan brand does not have a batting glove offering on the market and I would imagine its based on slow sales. Why? We can only guess, and in my opinion the looks and performance probably aren’t the issue. A $60 dollar retail is the likely cause. That’s just too much for a batting glove, which as we all know are not the longest lasting types of equipment. 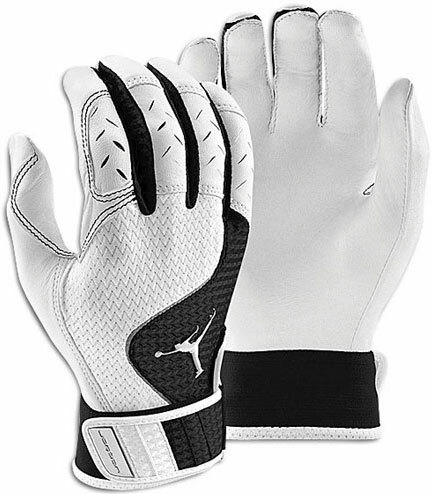 Regardless of price, Jordan has always made some of the sexiest gloves in baseball. Lets hope they come back with a new style soon (with a more tolerable price tag).